Welcome to Quebon Coloured Sheep, Young NSW. We specialise in producing naturally coloured pure-bred Corriedale and moorit sheep and fleeces. Our sheep have found homes across NSW, VIC and QLD and our fleeces have been sold to spinners and felters in every state of Australia. 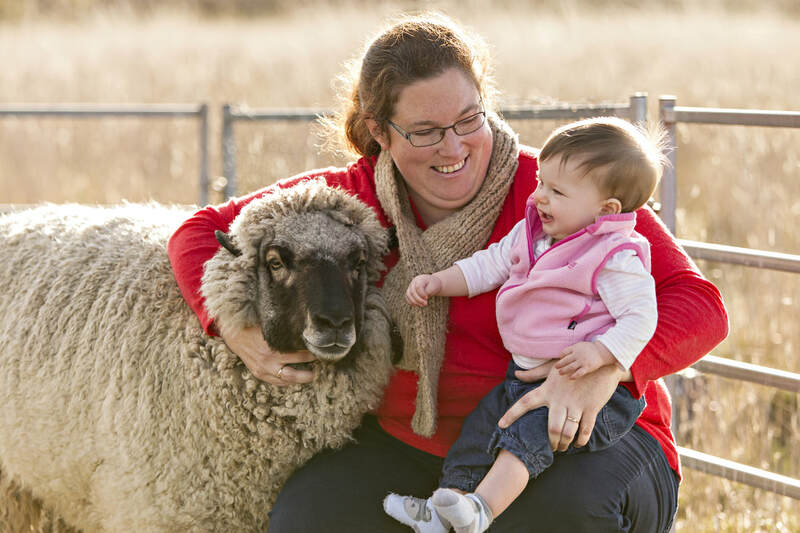 Melissa Henry and Simon Maher are the owners of Quebon Coloured Sheep along with their daughter Ruby. Our flock was established in 2004 and is located in the Hilltops Region (Young) NSW. We love our sheep and are proud to produce high-quality naturally coloured sheep and fleece for a growing market. We are passionate about supporting other small-scale producers and hand-crafters in achieving their goals. All of Quebon's sheep are shorn early September, prior to lambing at the end of September. Fleeces and Lambs are available for purchase. Video courtesy of Landline ABC TV 2015, featuring Quebon Coloured Sheep.